Crucial talks to solve the 26-year old name dispute took place on Wednesday (18 January) in New York under the auspices of the UN, led by US diplomat Matthew Nimetz, who has been in charge of the difficult dossier since 1999. All UN member states currently recognise FYROM as a sovereign state, but remain divided over what to call it, Macedonia (its official constitutional name, opposed by Greece) or FYROM. The European Union officially calls it FYROM and whenever EU officials made the mistake to call it “Macedonia”, they had to find a way to apologise. Greek newspaper Ethnos reported on Thursday that Nimetz proposals were in English and Slavic and all of them included the term Macedonia. None of these names on the list a really surprising and anyone with some knowledge of the issue could draw up a similar list. But FYROM negotiator’s statement, issued after the trilateral talks, quickly overshadowed the positive momentum that existed before. Following the talks between the representatives of the two countries in New York, FYROM Ambassador to the US Vasko Naumovski told Sitel TV channel that no one could impose a new name on his country. “Our country has a name, which is ‘the Republic of Macedonia’, a name that forms the basis of our identity,” he noted. He also claimed that the proposals put forward by Nimetz were far from “an honest solution”. Only hours later, the government in Skopje sought to distance itself from Naumovski, issuing a differently worded statement. The European Commission welcomed the action taken by the government in Skopje to end a 25-year stalemate on a name dispute with Greece and now hopes to see “concrete results”, a spokesperson told EURACTIV.com on Thursday (4 January). “The UN is creating the conditions for the process to move forward”. “The outcome will depend on the readiness of the two sides to compromise, taking into account the differences,” the government stated. “Maintaining good neighbourly relations, including a negotiated and mutually acceptable solution to the name issue, under the auspices of the UN, remains essential,” the EU official told EURACTIV. 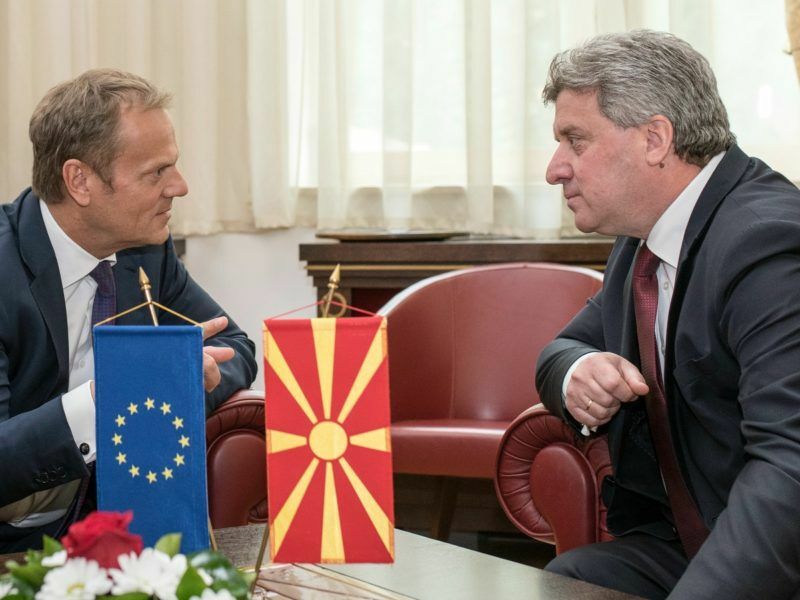 Naumovski was appointed by the country’s current President Gjorge Ivanov, who is an ally of the previous government led by the nationalist centre-right VMRO-DPMNE, an affiliate of the European People’s Party (EPP). As prime minister, Nikola Gruevski took a hard line on the name issue and for many years the negotiations were frozen. Pundits believe that Gruevski had no intention whatsoever to open the doors of his country for EU accession because such a scenario would limit his long-established capacity to milk the country for the profit of the VMRO-DPMNE elite. In an interview with EURACTIV in September 2013, Radmila Šekerinska, a FYROM socialist former deputy prime minister responsible for European affairs, and the current minister of defence, said that the then Prime Minister Nikola Gruevski used the name issue stalemate as an excuse “for some of our domestic so-called reformers not to deliver on any of the necessary changes to society”. A source present at the June 2017 pre-summit meeting of the EPP in Brussels, admitted that since Social Democrat Zoran Zaev took power, there was a “clear indication of a change of direction” that was worth exploring. Zaev has sometimes been called “The Macron of the Balkans”. The Prime Minister of Macedonia, Zoran Zaev, was in Brussels today (5 December) and gave the best talk show in town for many months, speaking at the Centre for European Policy Studies. “It looks like the tough line adopted by Gruevski is falling apart”, he added. But he warned that decisive change will only come if Zaev manages to follow a different policy from Gruevski in the longer term. 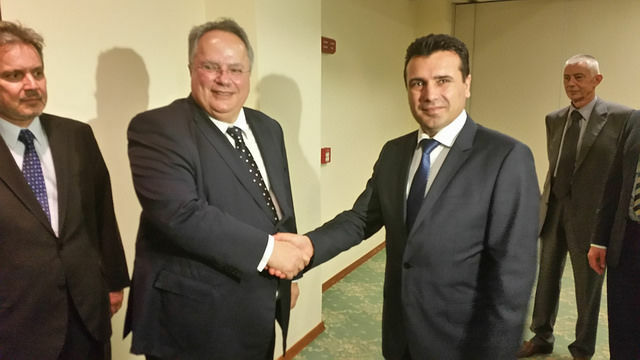 It was also reported that Gruevski’s camp is trying to use the new prime minister’s “overtures” towards Greece and Bulgaria as ammunition with which to destabilise or even topple Zaev’s government. However, another source close to VMRO-DPMNE warned against “excessive enthusiasm”, recalling that Greece’s longstanding position was that the name dispute should be solved first before any other business could be addressed. The official also said that the socialist government needed to understand that the national interest was more important than party politics. “They show flexibility to impress their neighbours but in the long run they have to have public opinion on their side as well,” he told EURACTIV. The internal divisions in Skopje politics were escalated this week when President Ivanov blocked a law making Albanian the country’s second official language. Ethnic Albanians account for 25% of the total population of the country and the bill would allow them to use the Albanian language in their interactions with state institutions. 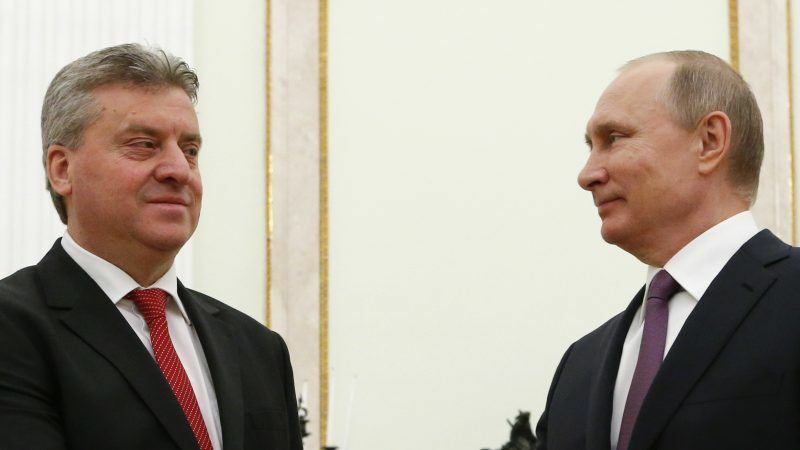 Ivanov stressed that legislation would introduce a “very expensive redundancy” in state institutions “instead of building a multiethnic society through a spirit of dialogue and coexistence”. On 1 March 2017, Ivanov refused to allow a coalition of Social Democrats and parties representing the country’s big ethnic Albanian minority to form a government because of their pledge to allow a wider official use of the Albanian language. This prompted Council President Donald Tusk to act as a fireman to prevent bigger damage. European Council President Donald Tusk said in Macedonia yesterday (3 April) he hoped the country’s leaders would avoid fuelling ethnic tensions and focus on advancing towards EU membership instead. Russia opposes any action that could encourage Albania, a staunch US ally, from nourishing hopes of widening its influence in the region. Russian Foreign Minister Sergei Lavrov issued a statement this week hinting that the US was pressing for a solution to the name dispute in order to speed up the country’s accession to NATO – a move that would deal a strategic blow to Russia’s ambition of reasserting its influence in the Balkans. Lavrov said the issue had been dormant for a long time and is emerging again “when the US decided that Skopje should be in NATO”. In an interview with EURACTIV in March 2017, Russia’s Ambassador to the EU, Vladimir Chizhov, made a reference to the 2001 Ohrid agreement between the Skopje government and ethnic Albanian representatives, which put an end to the conflict between the Albanian ‘National Liberation Army’ and Macedonian security forces. 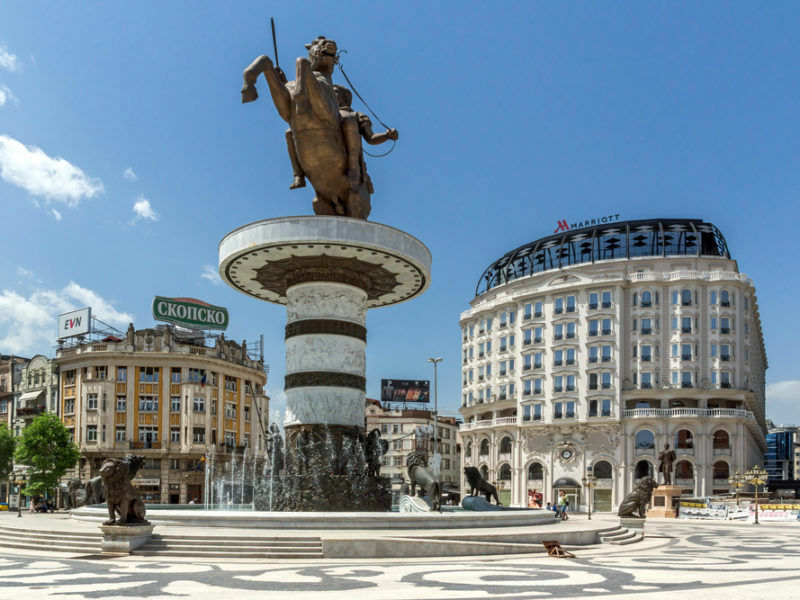 The agreement included provisions for altering the official languages of the country, with any language spoken by more than 20% of the population becoming co-official with the Macedonian language on a municipal level. 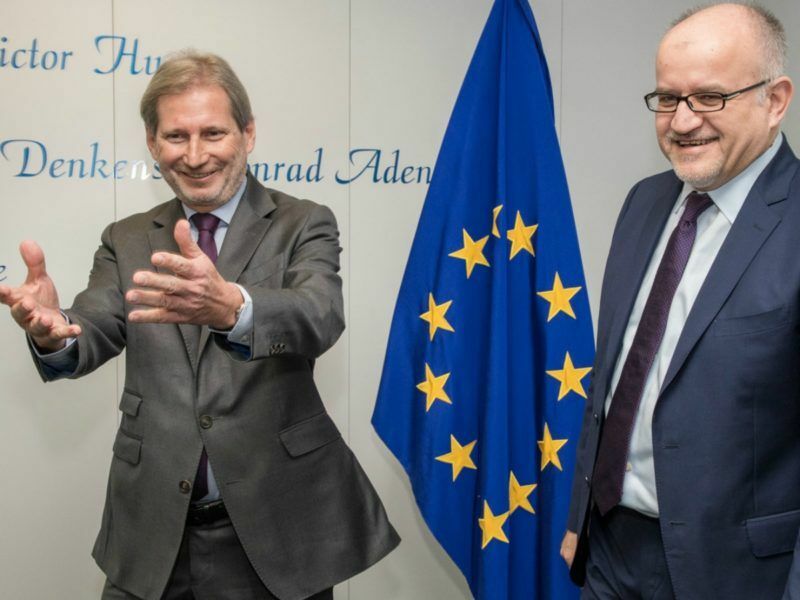 “The Ohrid agreement was brokered by nobody else but my good old friend Javier Solana, and I pointed out to him then the possible dangers of that agreement, which fixed a quota for Albanian representation. Actually, I asked him if he would follow this example in the Baltics, but didn’t get much of an answer,” Chizhov said. In the meantime, NATO Secretary General Jens Stoltenberg has been in Skopje since Wednesday (17 January), where he is meeting politicians from the government and the opposition. In an interview with the Macedonian Information Agency (MIA), Stoltenberg made clear that Skopje would not join the alliance unless the name dispute with Greece is resolved. “No. NATO’s position remains unchanged. All decisions in NATO are reached based on a consensus among all NATO allies,” he said. At the NATO Bucharest summit in 2008, Greece’s right-wing Prime Minister Kostas Karamanlis (New Democracy-EPP) blocked Skopje’s bid to join NATO under its provisional name of FYROM. Athens insists on a compound name before the word “Macedonia”, which will be used in relation to everyone (erga omnes). The next NATO Summit will be held in Brussels in July. 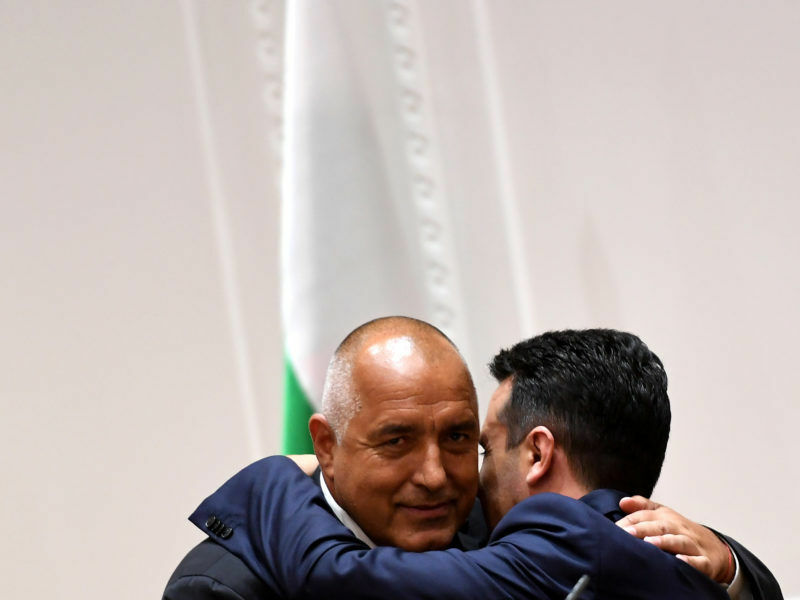 Zaev’s government hopes to solve the name issue and open the door to NATO accession, but also for a decision to start EU accession talks in June. 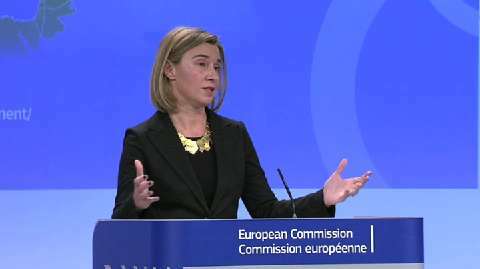 The Commission issued a recommendation to start accession negotiations with Macedonia in December 2005. 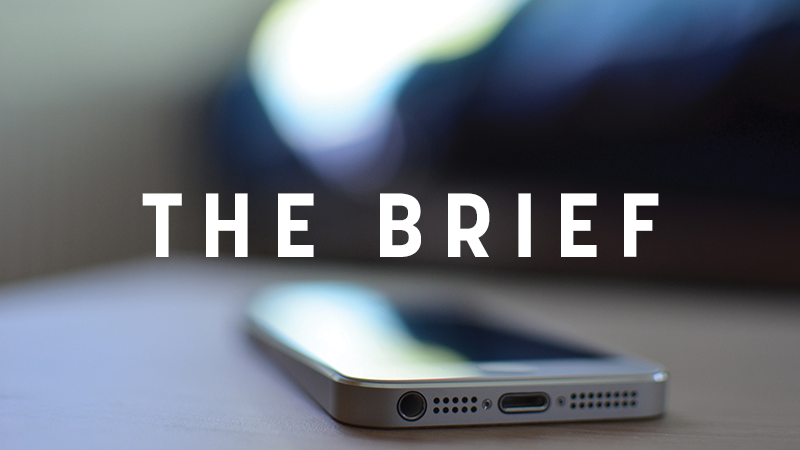 Without the Greek veto, Macedonia – at least in theory – could have long ago wrapped up the negotiations. Croatia, another ex-Yugoslav republic, started accession talks in 2005, completed them in 2011 and joined the EU on 1 July 2013.